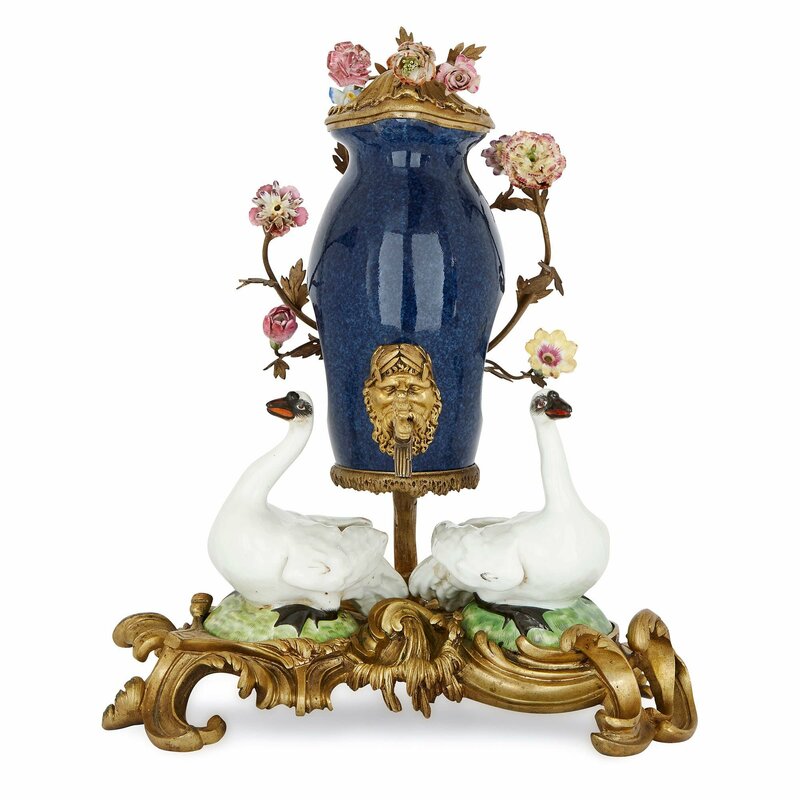 This delightful table fountain was crafted in the late 19th Century in the fashionable German Meissen style by the Parisian company, Samson et Cie.
With its colourfully-painted and lively depictions of animals and flowers, this table fountain is a wonderful example of Meissen style porcelain. The piece comprises of a central vase form, which is raised up by an ormolu mount that springs from a pair of scrolling feet. 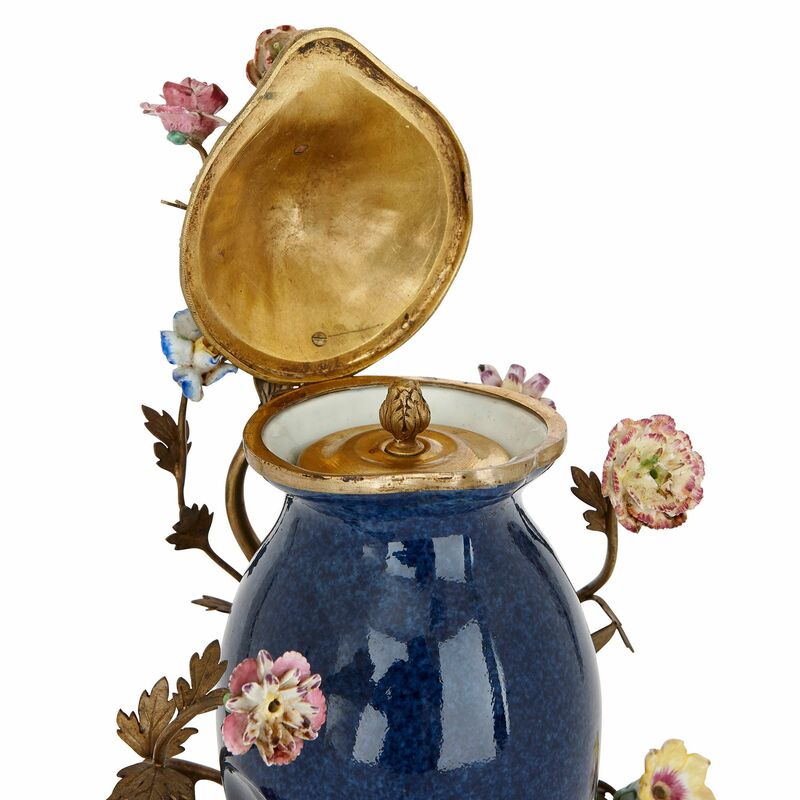 The body of the vase is painted a dappled blue colour, and is fitted with an ormolu lid, which takes the form of a clam shell. 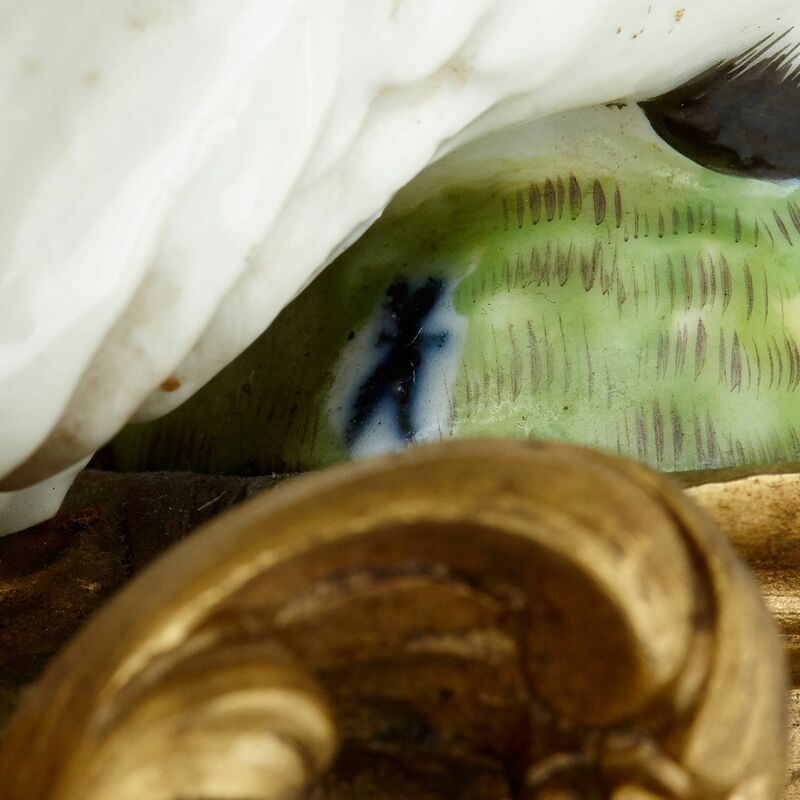 The lid can be lifted up to reveal a second ormolu cover, at the centre of which is an opening flower bud. 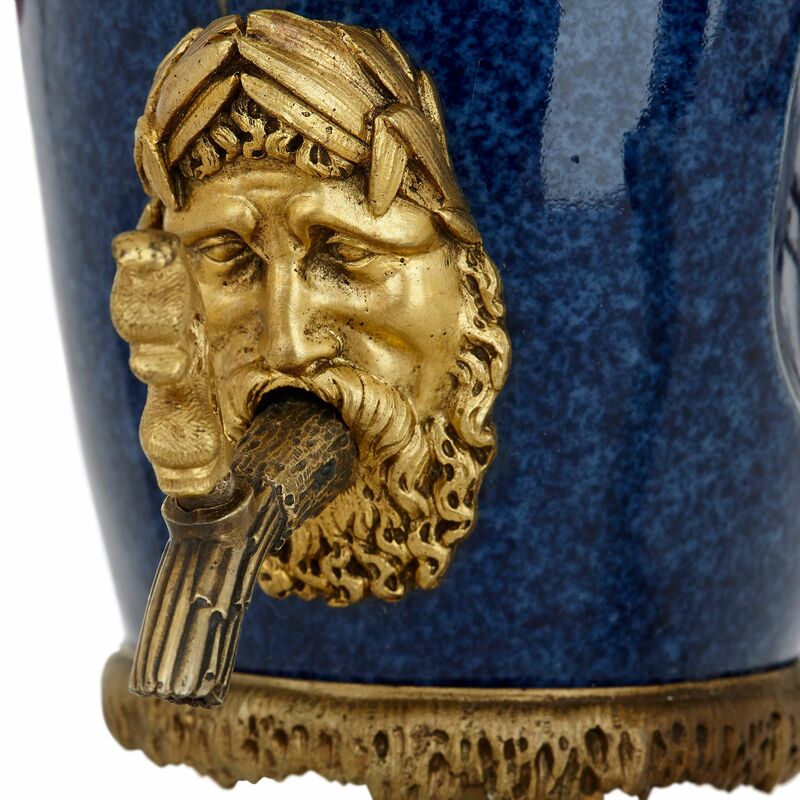 Spouting from the lower part of the vase is a classical mask, possibly the face of Poseidon (the God of the Sea), whose mouth forms a tap. 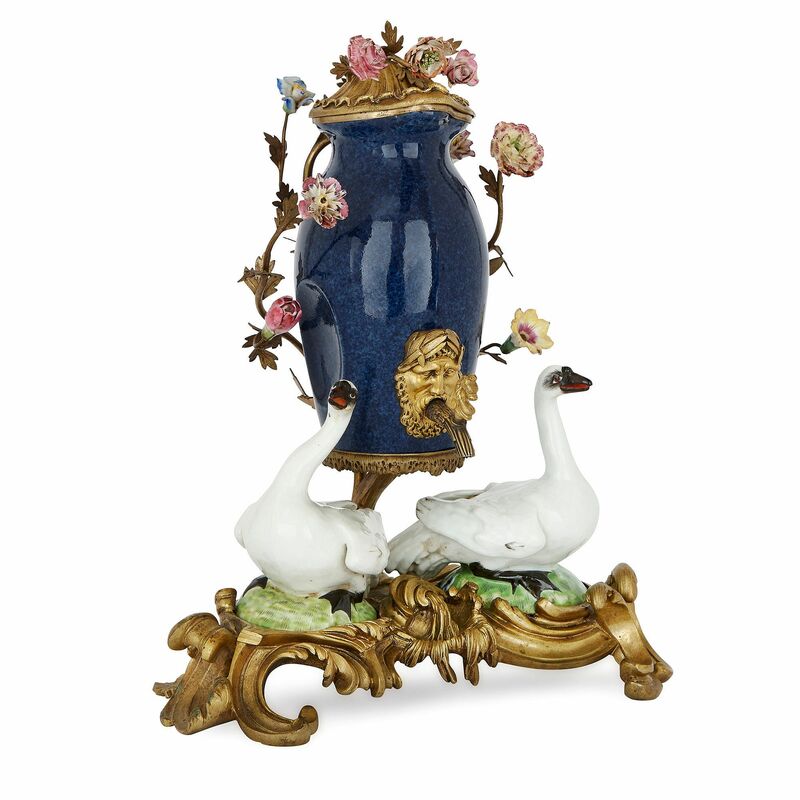 An ormolu branch supports the vase, and curls down to form two scrolling, leafy feet. 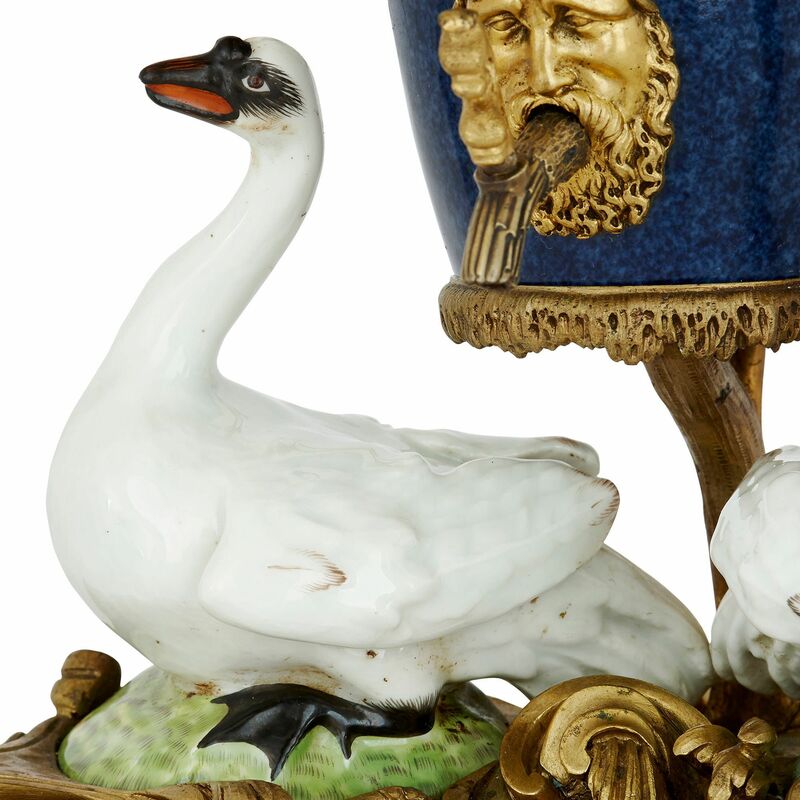 They are topped by a pair of porcelain swans, which are painted with expressive eyes and open beaks. 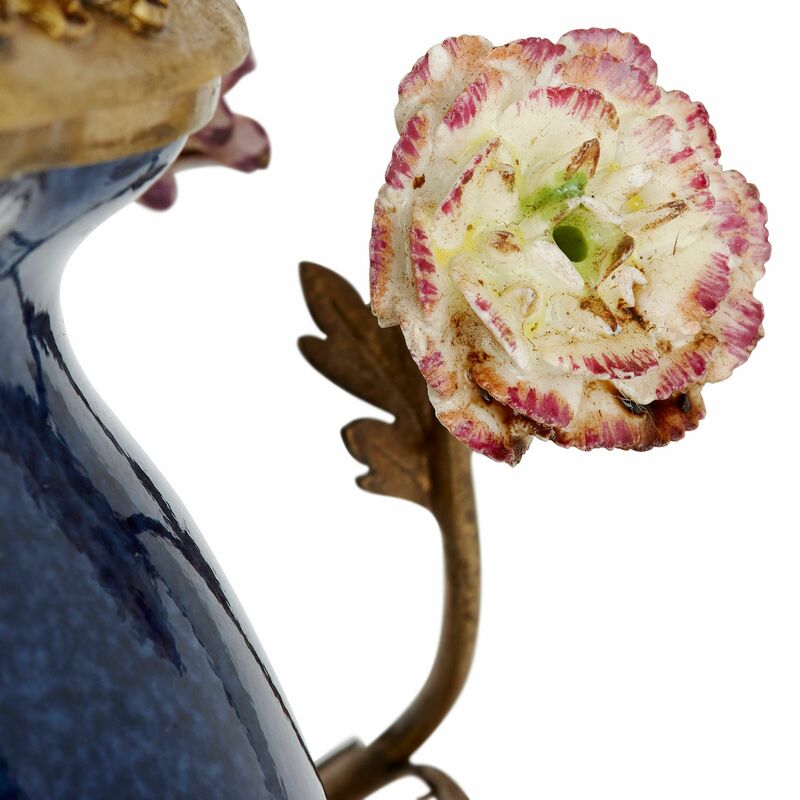 A cluster of flowers, crafted with ormolu stems and colourful porcelain petals, grow upwards from the base, to bloom in the space around the vase. The underside of the piece is painted with the manufacturer's mark for Samson et Cie. The Samson company were the chief producers of high quality Meissen style porcelain in France in the 19th Century.